Offering you a complete choice of products which include side handled jerry can, oval shape jerry cans, non stackable jerry cans, hdpe jerry cans, hdpe stackable jerry cans and mahavir shape jerry can. We provide our customers with Side Handled Can that are widely used in homes, corporate houses, industries and commercial complexes for storing liquids. Manufactured using superior raw material our cans are widely acclaimed by the clients for their leak-proof nature, durability and reliability. In addition to this, our can are available in different sizes, shapes and designs as well as can be customized as per the demands of clients. We provide our customers with Oval Shape Can that are widely used in homes, corporate houses, industries and commercial complexes for storing liquids. Manufactured using superior raw material our cans are widely acclaimed by the clients for their leak-proof nature, durability and reliability. In addition to this, our can are available in different sizes, shapes and designs as well as can be customized as per the demands of clients. 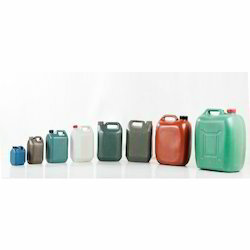 Keeping in mind the diverse requirements of the clients, we offer our clients widest range of Jerry Cans that are valued for excellent quality and seamless performance. Our entire product range is leak-proof in nature and is easy to clean. Our manufacturing department is outfitted with latest technologies and tools that assist us to deliver exceptional range of products to our clients. Moreover, we offer them at most reasonable rates. HDPE Jerry Cans are available with Seal caps. 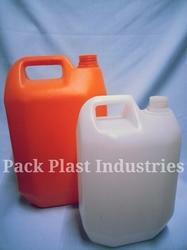 We feel proud to introduce ourselves as one of the well-known manufacturers and suppliers of HDPE Jerry Cans. 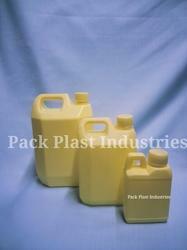 The offered high density polyethylene jerry cans are fabricated from high density polyethylene. 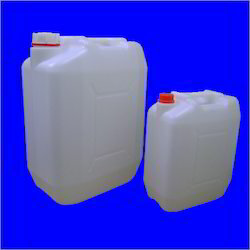 Our manufactured high density polyethylene jerry cans are special fabrications for storing liquids such as water, petrol, kerosene oil and pharmaceutical syrups. The supplied high density polyethylene jerry cans are strong constructs which can store optimally corrosive liquids as well. Backed by rich industry experience, we have emerged as one of the leading manufacturer and supplier of superior quality range of 5Ltr Mahavir Shape Can. That are fabricated using fine quality HDPE material. 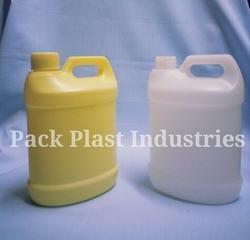 Commonly used in Chemicals, pharmaceuticals, oil, soap, liquid, fluids. 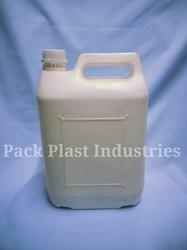 We provide quality assured Jerry Can, with perfect sizes and shape as required by various industrial applications. It is available with us at competitive prices. 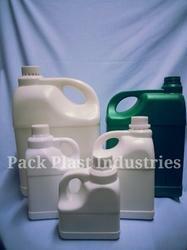 Looking for HDPE Jerry Cans ?